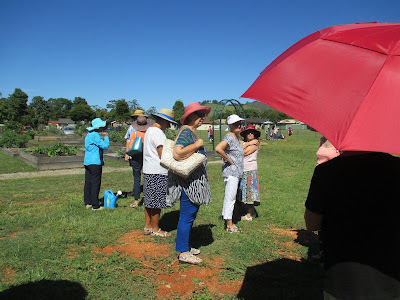 The March outing kicked off at the South Coffs Community Garden where CHGC members learned of the journey in its establishment - land had to be procured, grants applied for, parameter fencing to complete, shipping containers to securely lock up materials and tools, tanks to install........ the activities are endless AND all this BEFORE a plot was turned! The day was one typical of early Autumn - HOT. The gardens have some wonderful trees which we were able to sit under while we listened to how the garden came about. There was also a site plan for further and future development. Kids from local Toormina High were really cracking on moving soil to new beds - wished I had some of them to help in my garden! 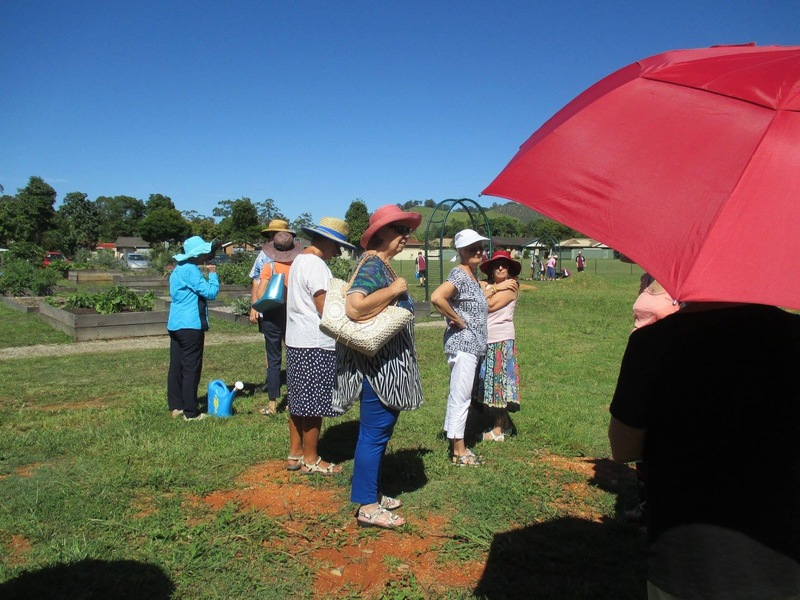 Thanks to South Coffs Community Garden for hosting Coffs Garden Club to a wonderful visit.